I had just been mesmerized and disturbed in equal measure, By the rather wonderful Monica Salvi and her performance of Mad Woman In The Attic at St Johns. I was heading up through the Grassmarket to review a self mutilation show called Nail It. When the Mumble phoned me and asked me to review King Creosote at the Hub. King Creosote is an artist that has been brought to my intention quite a lot recently, so felt quite a thrill at the prospect of my first Mumble International Festival Review. I had been writing all day on Friday. Catching up with the backlog of performances that I had seen Weds and Thursday. After the tight crush at Summerhall for Stanly Odd. The lush splendor of The Hub was very welcoming indeed.This was the first performance that I had seen at the Hub and although I had read a lot about King Creosote I had, up until last night never heard any of his music. I knew that this was going to be a special concert but I had absolutely no idea what was waiting for me. Being a reviewer can be a lonely business, So I relished the opportunity to make friends with the people that I was sitting with. Luckily they were long seasoned fans of the artist so they were able to give me the background. It made for a very tranquil excitement and felt far from the maddening crowd of the Tattoo exploding. The Hub is positioned at the top of the Royal Mile at the entrance of the Castle, so hundreds and hundreds of people file past. The staff of the Hub were ever so welcoming and friendly. The musicians that formed King Creosotes contemporary orchestra entered the stage and a film began to play on the large screen above the stage. Hmmm I thought this is going to be good. I dinnae have a TV and seldom go to the Movies. So seeing a film makes it that bit more special. The performance was called With Love From Scotland and was an archive of Scotlands History over the last hundred years or so. Entertaining and very informative images of a by gone world and the shifting styles of working class generations having fun. King Creosote and his contemporary orchestra played a set of original compositions that were perfectly in sync with the film. Both King Creosote and The Film were begging my attention. I wanted to watch the Master at work. But the film was just too fascinating to divert my attention away from it. The whole thing was fantastic and very very moving. King Creosote gained a new fan tonight. With entertainment this good one can understand how such events sell out well before the performance dates. And with Divine in Fields at festivals employing his other skills. When the opportunity to review this wonderful arts festival comes up all opportunities are taken by the time that I land back into the city and Internet land. So this was a real treat and the climax of the first week of exemplary art. Amazing experiences. 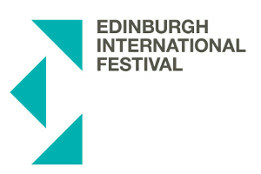 Edinburgh International Festival. Thankyou from the bottom of my heart. That was amazing.